As the debate about legalizing marijuana heats up in Canada, a new study suggests the drug might be riskier for teens to consume than had been previously thought. Researchers from the Université de Montréal and New York&apos;s Icahn School of Medicine at Mount Sinai Hospital conducted a review of 120 studies examining cannabis and teenage brain development, and concluded there is strong evidence early cannabis use puts some teens at risk of developing addiction and mental health problems as adults. Dr. Didier Jutras-Aswad, with the Université de Montréal&apos;s psychiatry department, is a co-author of the review, which was published this month in the journal Neuroparmacology. He says that in adolescence, the brain is still fine-tuning how different areas, such as learning and memory, interact and it appears that marijuana use alters that process. "When you disrupt this, actually, development, during adolescence, notably through cannabis use, you can have very pervasive, very negative effects in the long-term, including on mental health and addiction risk," he told CBC News. Some studies have also found links between early cannabis use and schizophrenia, but Jutras-Aswad says it seems clear there is a wide risk profile that includes genetics and behavioural traits in addition to age. "For me, the question is not about whether cannabis is good or bad, but who is more likely to suffer from problems in cannabis, because we know for most people that will not happen," he said. 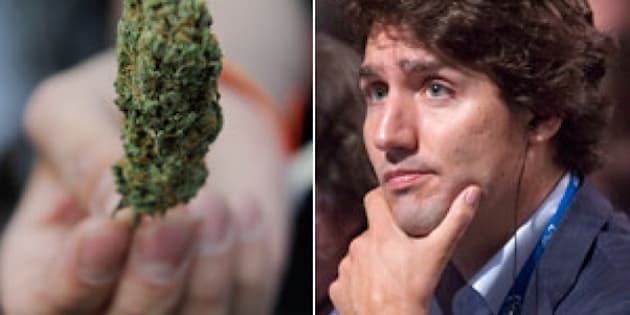 However, the study&apos;s authors point out that there is a widespread perception that marijuana is of little harm and the current discussions about access, such as Liberal Leader Justin Trudeau&apos;s calls for legalization, ignore the drug&apos;s impact on vulnerable populations — in particular, teenagers. Vancouver pot activist Jodie Emery says she questions how conclusive the evidence about cannabis&apos;s harmful effects on the teenage brain is, but also says legalization for adults doesn&apos;t have to mean open access for youth. "We&apos;re not saying legalize marijuana for teenagers. That&apos;s not the message here. That&apos;s not what we&apos;re talking about. We&apos;re saying legalize it for responsible adults, who are right now being arrested and persecuted," Emery said.